Remember that package that turned up on my doorstop with all these books? 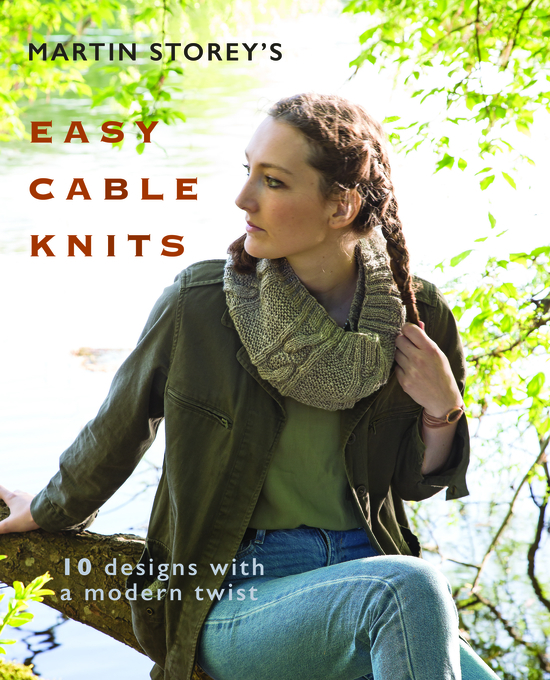 Martin Storey’s Easy Cable Knits: 10 designs with a modern twist. All the designs in this book are simple shaped garments with interesting cable panels or edgings and are knitted using Rowan Hemp Tweed. 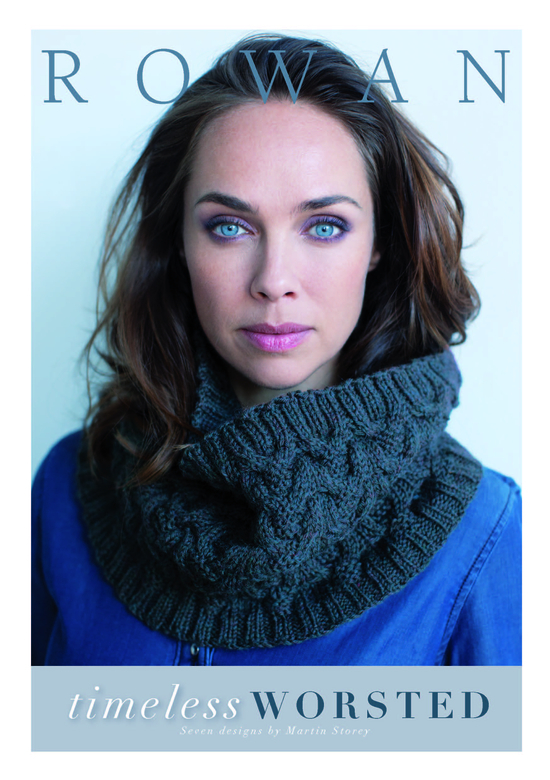 Choose from cardigans, a cowl, a scarf, a shawl, fingerless mittens, a blanket and a cushion. I have some Hemp Tweed in my stash and quite like the Wave Cable Cardigan but will definitely be adding a bit of shaping and length. This book is a “sister volume” as Martin calls it, to his Easy Cable Knits pattern book and useful if you need some help with knitting cables. 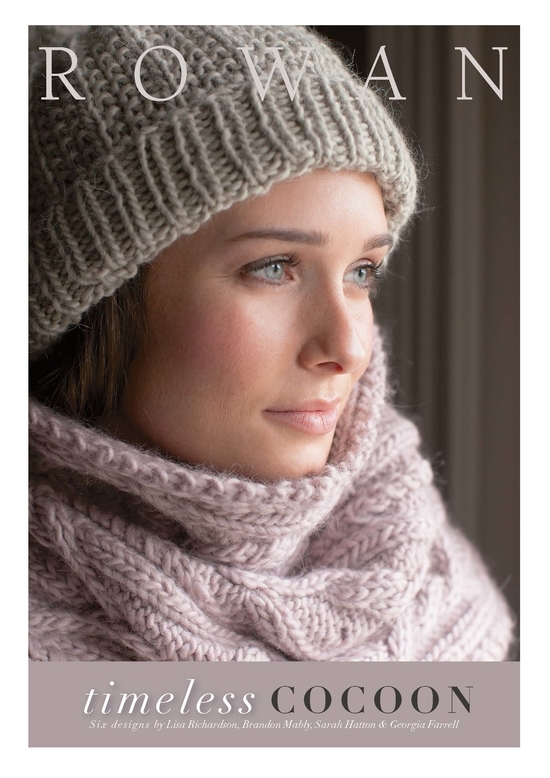 In this book, Martin shows you step by step, including pictures, how to knit three basic cables and then provides a project for each one all using Rowan Hemp Tweed: Cable Wristwarmers; Wave Cable Scarf; Plait Cable Cushion. These designs, all by Martin Storey, appear to be more suited to my taste. Martin Storey has been very busy this year! 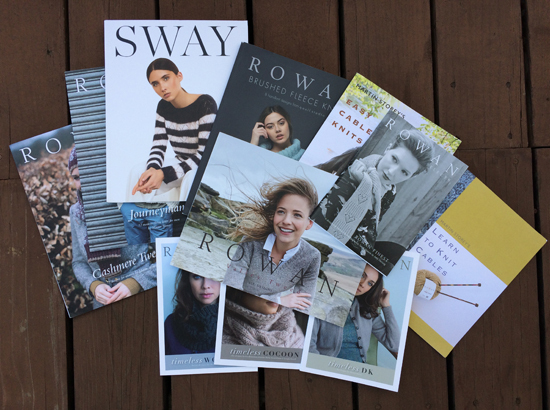 All these designs use another of Rowan’s new yarns: Alpaca Soft DK. It is a soft mix of extra fine and super fine merino wool and baby alpaca. It is gorgeous! I love the design Irma and also Bibbi. There are 12 shades to choose from….not sure which one I would go for just yet? All these designs are knitted using Pure Wool Superwash Worsted. There are 20 shades to choose from and if I had the time I would love to knit Tivoli in the shade Ivory or one of the dark blue shades like Electric, Navy or Oxford. I have used Cocoon a couple of times and it is a very quick knit. It is quite hairy and sheds lots of hair-like strands everywhere; I remember having to knit with a towel on my lap! It is worth it though. These designs are quite big and baggy…not really me at all. Although, I would consider looking closer at the long cardigan called Snowy Cardigan as I have always wanted to make a coatigan but just haven’t found the right design yet. 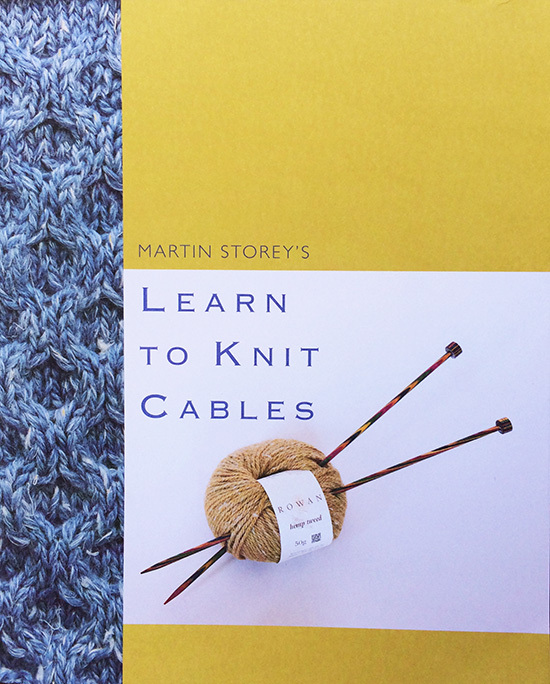 Sorry, I couldn’t find links for the two Martin Storey books: Easy Cable Knits and Learn to Knit Cables.